If you are a wizard or a wanderer you can appreciate the unassuming appeal of this LARP Wood Staff. Wood grain finish gives this staff a realistic look while the LARP safe materials make it perfect for your next battle or event. This simple staff reflects a shape that is great as a weapon and a walking stick. The staffs body is made with a ridged design, with a strong latex outer coat wrapped around highly durable foam. Staff also features a fiber glass core and Kevlar tip, for the ideal blend of strength, flexibility, and safety. Perfect for a beginner this staff combines low cost and a versatile design that will allow you to defeat any foe who happens to cross your path. Please note that the wood color and grain can vary slightly from what is shown. We will send what is available. If you want to know what is available, contact us before ordering. 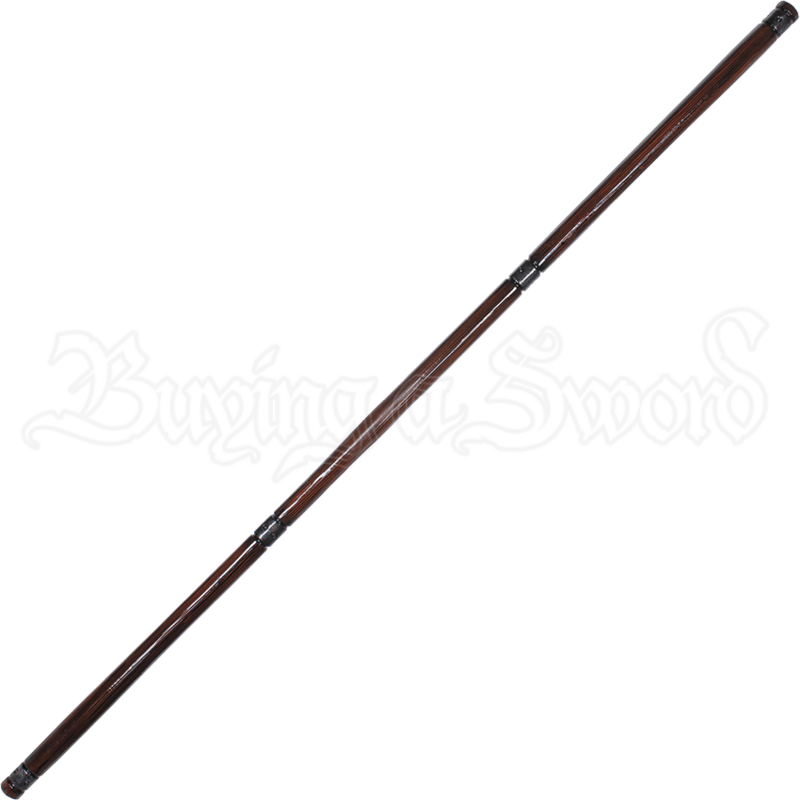 The LARP Wood Staff has an average overall length of approximately 75 inches. Please be aware that this measurement can vary slightly, as it is a hand-made item.